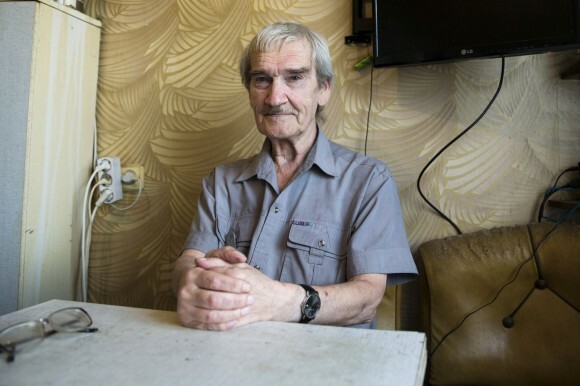 Stanislav Petrov’s story is about to be featured in a new movie, The Man Who Saved the World. This title suggests more than the usual artistic license, but if license weren’t granted when dealing with the Apocalypse, then where would the film industry be? My own choice for the hero’s mantle would be Vasili Arkhipov, whose veto prevented the launch of a nuclear weapon on board a Soviet sub being depth charged during the height of the Cuban missile crisis. Both men illuminate the weaknesses of nuclear deterrence theory, when alertness and vigilance can paradoxically lead to error. Yes, we want those in charge of nuclear weapons to be on the top of their game. But when alert levels are raised during a severe crisis, the likelihood of unintended accidents and human or mechanical error increases. Most of the literature on deterrence theory misses this central point because it assumes mutual, rational assessment of gain and loss. One problem with the rational-actor model is that adversaries might not be on the same page as to whether whether the use of nuclear weapons makes sense. Usually, when this is a close call, the “rational” actors hardly know each other. The rational actor model excludes the human factor, when deciders and implementers are operating under extreme duress. It also doesn’t account for mechanical failure. If instead of presuming rational actors, deterrence theory were predicated on Murphy’s Law, there would be many fewer nuclear weapons in our midst. Aspiring wonks: If you think the recent past has been a mess — what with the Kremlin’s behavior in Ukraine, its provocative and dangerous actions at sea and in the air, and the shoot-down of a civilian airliner — all of this pales in comparison to 1983, aka The Year of Living Dangerously. In 1983, President Reagan announced his “Star Wars” initiative, NATO deployed medium-range missiles in Europe, the Kremlin walked out of arms-reduction talks, a trigger-happy Soviet air defense commander shot down a South Korean passenger airliner, the U.S. Navy and Air Force carried out provocative feints toward Soviet territory, and paranoid Politburo figures with backgrounds in intelligence thought the United States was preparing for a surprise attack. Petrov gained belated recognition for his decision on the night of September 26, 1983. As the commanding officer on the night shift, he was faced with the choice of notifying superiors of indications of the opening salvo of a U.S. surprise attack, or not doing so, assuming a technical malfunction. Petrov did not go by the book, as he chose not to assume the worst. David Hoffman tells this tale in his prologue to The Dead Hand. Mark Kramer has also investigated this Cold War episode and believes it to be overdrawn. Arkipov’s story — think of Das Boot meets Seven Days in May – makes for more sustained and higher drama. Calling all screenwriters! Here’s my spin on Petrov, Arkhipov, et al. – the People Who Saved the World – http://futurisms.thenewatlantis.com/2015/04/killer-robots-human-responsibility-hope.html. I think these incidents provide the most compelling case for stopping the slide toward autonomous decision making by artificial intelligence – in other words, for banning autonomous weapons. From what I’ve read of Arkhipov’s story, it was indeed the most dramatic, a point at which the world’s fate genuinely rested on the decision of a single man, with little reason to think that further events or decisions would have intervened to stop the apocalypse had Arkhipov gone the other way. It may be highly significant that Arkhipov had experienced a reactor accident on board another submarine, and was himself exposed to radiation as well as witnessing the fatal exposure of dozens of sailors. Definitely worth a good dramatic treatment. I’m talking big budget, production values, non-documentary film making. Except that he did choose to assume the worst. He assumed the worst of his own commanders, that they would likely overreact to a qualified warning and mindlessly press the Big Red Button. The problem with this is that his commanders kind of have to return the favor – thinking the worst not just of Petrov, but of anyone who came from that culture and now holds the same responsibility. Particularly if Petrov is being hailed as a hero or a martyr. One of the key requirements for rational behavior, is reliable and accurate information. If you want rational actors handling the nukes, you don’t want to give them reason to doubt their sources of information about the various crises they are faced with. You particularly don’t want to give them reason to suspect that an “all clear” message from within their own organization might in fact be someone else’s subversion. Which, for the sake of one transient crisis, Petrov did. It turns out he didn’t destroy the world, but I’m not sold on his having saved it or even on his having done a good thing on the net. Arkhipov, if his story checks out, outright prevented a nuclear attack and did so in an overt and unambiguous manner. Great man, great job, should be a great story. For awful mistakes not to happen, it takes a mixture of going by the book and exercising cautionary judgement. The higher the level of responsibility, the greater cautionary judgment is required, no? One of the many reasons to be wary of tactical nuclear weapons, in my view, is the premium these weapons place on cautionary judgment by lowly commanders. Including lowly commanders under fire. Absolutely agree about tactical nuclear weapons, at least of the battlefield variety, and it is disturbing to see that Pakistan is leaning towards reintroducing that risk. But I think the third critical element is teamwork. I don’t want any one individual making the ultimate decision to launch a nuke – no matter how good the book is, no matter how cautious his judgement. This is something the command team on B-69 got right, and Arkhipov’s dissenting vote was supported by a pre-agreed framework for him to cast that vote and an informed discussion among all the key participants. There are quite a few myths around both stories. As far as I can tell, Petrov did everything more or less by the book – once the system sent the alarm to the higher level (which it apparently did), his job was to report his assessment. Which he did. Of course, he still made the right call, but it’s not as if he went against the system. Also, it is entirely possible that the alarm would have been recognized as false anyway, although had Petrov made a different assessment (or just kept silent) if would have been somewhat more difficult. As for Arkhipov, as I understand Svetlana Savranskaya managed to talk to participants of the episode. It was not nearly as dramatic as it’s often described. It was tense, of course, and rather confusing, but there was no order and no vote over whether to use a nuclear torpedo. This is not to say that these episodes were not dangerous – they were. But it’s always good to have a clear picture of what happened. One July morning last year, on a subway train in Nuremberg, Germany. Bunch of kids on their way to school, maybe twelve years old. One boy says: “one must never stop to scrutinize things”, then tells his buddies how a Russian General prevented nuclear war. Apart from the rank, he got most of Petrov’s story right. Made my day. Maybe there’s hope. My comment here is not to assess how heroic (or un-heroic) someone’s decision was, but to assess how consequential the decision was. The biggest consequence, of course, is to increase or reduce the odds of nuclear war. Start first with Vasili Arkhipov. The first sub the Americans found actually had two captains. The first captain was captain of the sub. The second captain was captain of all four subs. The first captain wanted to nuke the American ships. The second captain – Arkhipov – disputed that course of action. As a result, no nuke was launched from that sub. In order for the nuke to be launched from a sub, both the captain and the political officer on the sub needed to agree that launching the nuke was a good idea – otherwise no launch. Based on the limited data, the chance that a captain would want to launch a nuke under these circumstances was around 25% to 50% (assume 25%). Suppose further that the political officer normally does not interfere with valid military decisions, but might have an independent opinion about whether it was wise to launch a nuke. Assuming the captain said yes, suppose the political officer would say yes 60% of the time. For a sub with one captain, the odds of launching the nuke would be 25% x 60% = 15%. For a sub with two captains, the odds would be 25% x 25% x 60% = 3.75%. The odds that a randomly selected sub would launch a nuke is 12.2%. The odds that any of three subs would launch a nuke is 1 – (1-0.122)^3 = 32.3%. This would be the “system” probability that one of the three subs would launch a nuke. If we want to know the “individual” impact of Arkhipov on preventing a nuke launch from a particular sub, we have to specify what we mean by Arkhipov is not there. One possibility is that Arkhipov simply took a ride on one of the other three subs. In that case, the odds rise from 0% to 60% (the chance that the political officer approves). Another possible meaning is that some other plausible Soviet commander was randomly selected to be on the same sub as the second captain instead of Arkhipov. In that case, the odds rise from 0% to 15% (25% x 60% = 15%, the chance that both the second captain and the political officer approve). So fellow wonks, is the above model reasonable? Are the suggested probabilities (25%, 60%, 30%) too high, too low, or about right? Part of my comment went missing. I’m guessing certain symbols were misread as html code and deleted. Pavel indicates that he thinks the accounts we have of the Arkhipov incident are exaggerated, but he doesn’t say what he (or his named source) thinks is a correct account. So, that’s one thing to consider before making numerical probability estimates about how it could have gone. I question whether such numbers make any sense in general. If you are going to estimate them, let alone make calculations from them, at a minimum you need to say what you mean. For example, you might mean “I estimate that m out of n cases satisfying the given description would lead to nuclear war.” Or you might mean “I estimate that the situation as described had a physical probability of m/n of leading to nuclear war,” with the actual outcome a function of thermodynamic and/or quantum randomness. Or you might mean “I estimate a Bayesian prior of m/n that the situation was one which would lead to nuclear war,” except that the posterior priority can be updated to zero. And there are other ways of defining probability, but all of them are questionable when we’re talking about a unique event that hasn’t occurred and would have destroyed us if it had. So, this is actually a very tricky subject. What makes it even more tricky is that in each instance that we know of, the outcome turned on human decision, and the humans involved were intelligent and sane individuals, who were weighing the possibility of a holocaust that would end civilization as we know it. Assuming it is correct that the sub captain said he wanted to launch the nuke, the political officer went along with that, and Arkhipov vetoed it, and if two other subs also were being depth-charged, we can ask: 1) Why did the other subs, with no Arkhipov on board, not launch their torpedoes? 2) If Arkhipov had not been on board B-59, so that the entire weight of the decision had fallen on its captain, or its captain plus the political officer, what would their decision have been? Perhaps we’ll never know, but you see what I’m getting at. When is it ever a good day for the world to end? If there is even the slimmest chance of avoiding that, why would any sane person not opt to take that chance? However, my intuition is that if the nuke had been launched, madness would have been let loose. Lethal rage and apocalyptic fear, combined with a timetable of minutes for decision and action, would have carried things to a swift conclusion. It could happen just as well today. If even a single nuclear weapon is used, anywhere, I think we would be perilously close to the brink. If it were used by one nuclear power against another, I don’t see how the exchange would stop short of a holocaust. By probability I refer to subjective probability, as (for example) what do you think is the probability that the next person you say hello to on the street will say hello back. Suppose you have no statistical analysis or data to work from, you still have your own experience and expectations as a human from which to estimate a probability. Although nuclear war has yet to happen, wars have been frequent throughout history, and people have had time to imagine, plan for, and strategize possible uses for nuclear weapons during war. Therefore, people can estimate (somewhat imprecisely) the likelihood of possible nuclear events, even events that might someday destroy us. I am not saying we will ever “know” the precise probability, but some probability estimates are more reasonable than others, and reasonable people will disagree. I don’t expect hard, scientific assessments, just a range of opinion. If some people feel more comfortable providing a range of probabilities, rather than a precise number, that is acceptable. Jonah, thanks for the Savranskaya ref – lazy of me to assume it was unpublished! When you say “subjective probability” I think you are evading, not answering, my question about the meaning of such numbers. If you just mean what some person would say, you are on exceptionally shaky ground, as clearly some people are going to be overconfident and others overly fearful. And we can’t ignore the central role that emotions like fear and anger play in these scenarios. You also talk about “the precise probability” which we can’t know, but which you assume exists. I don’t think we know that such a quantity exists or even how to define it, let alone make inferential calculations from it. When you walk down the street, your “subjective probability” that the next person will say hello to you is not uninformed by data. You have walked past many people; some have said hello and others not. You have observed the correlations with their looks, the location, time of day, etc. The meaning of a probability estimate in this case is clear, since we can have many trials and find a frequency, or even frequency as a function of some variables. That’s not the case with nuclear war. Some people talk about a “probability per year” of nuclear war. I think that’s especially unhelpful, because obviously some years are more dangerous than others, and because it obscures the role of human subjectivity and response to danger, which actually determines the outcome. But if we take humans out and put automated systems in charge of nuclear weapons, or of the process of escalation that could lead to their use, then there really will be an objectively-definable probability of nuclear war, and it won’t be zero. Mark, The relationship between subjective probabilities and objective probabilities has been empirically studied in a number of fields and contexts. Yes, from a knowledge standpoint it is better to have actual data, when it is available. Nevertheless, I do see room for soliciting subjective opinion about those aspects of a problem where scientific data or models are not yet available. In order to assess the probability of nuclear war from these events, I have broken up the problem into smaller elements, which may be easier for people to wrap an opinion around. You seem to have offered at least one opinion, that if even one nuclear bomb were detonated, a full-fledged nuclear war would very likely ensue. If you wish to offer your best educated guess on the numerical probability, or any of the other probabilities, please feel free. Petrov reasoned: 1) he was told a U.S. strike would be all-out, so five missiles was an illogical start; 2) the satellite system was new and perhaps not wholly trustworthy; and 3) ground radar failed to pick up corroborative evidence. Even though he was unsure, he nonetheless told his superiors, “False alarm.” It is unclear why Petrov provided a definitive conclusion, rather than a more nuanced explanation. Some accounts claim that Petrov’s superior was drunk and incapable of complex reasoning. It is possible that if Petrov (or an alternate) had provided a nuanced explanation, his superiors would have come to the same conclusion — probably a false alarm. It is also possible that they could reach a different conclusion. E.g., five missiles might carry fifty warheads; fifty warheads is only the start of a major attack. As for the illogic of a five-missile attack, who knows what crazy attack plan those Reaganites may have concocted? The likelihood of a nuclear retaliation to this phantom menace depends on two probabilities: 1) The probability that superiors believe the satellite detected an actual attack. 2) The probability that superiors decide to launch on warning because they believe the Soviet Union is under attack by five missiles. For example, if the first probability is 25% and the second is 40%, then the probability of nuclear war from a nuanced explanation of this incident would be 25% x 40% = 10%. So fellow wonks, are the suggested probabilities (25%, 40%) too high, too low, or about right? Moscow, Sep 29 (Prensa Latina) A high-precision Iskander-M tactical missile, capable of carrying nuclear warheads, destroyed a target located 300 kilometers away in southern Russia, confirmed today a source of the Ministry of Defense. The sspokesman of the Eastern Military District, Alexander Gordeyev, told reporters that a unit of that command test-fired the missile against a target that simulated an enemy command center, in the southern Astrakhan region. —Disturbing account of accident at Titan II Missile Silo in 1965. On August 9, 1965, the Titan II Launch Complex 373-4, located near the town of Searcy, Arkansas, was undergoing a modification program called Project YARD FENCE. Project YARD FENCE was part of a modification program designed to facilitate maintenance and increase reliability, and improve hardness against a nearby nuclear blast. Per plan, the missile remained in the launch duct fully loaded with propellant, but with the reentry vehicle removed. —It was not a “broken arrow” incident. The “weaponisation of the space domain” was already noted as a likely future scenario in an analysis reportedly published last November by the Royal Australian Air Force’s Air Power Development Centre. James Clay Moltz, an associate professor in the department of national security affairs at the Naval Postgraduate School in Monterey, California, has been warning for years that an Asian space race could already be underway, potentially involving China, India, South Korea, Japan and other countries.